This week’s photo challenge is “depth.” I didn’t get much diving in last year due to health issues, but I’m certainly hoping to change that in 2015 – I actually miss it. I would love to finally leave the fresh water and head into the great salty wide open for a bit more clarity and color, but one fear at a time (smile). 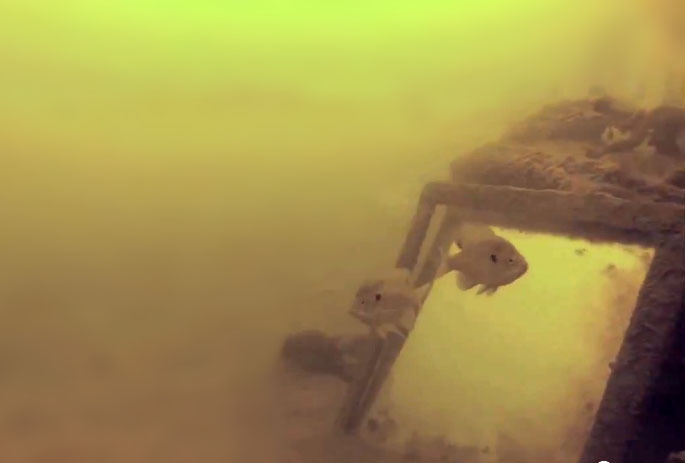 I know these aren’t top quality but they’re from our GoPro, taken at about 30 foot depth at Lake Havasu here in Arizona (lakes tend to be murkier by nature.) 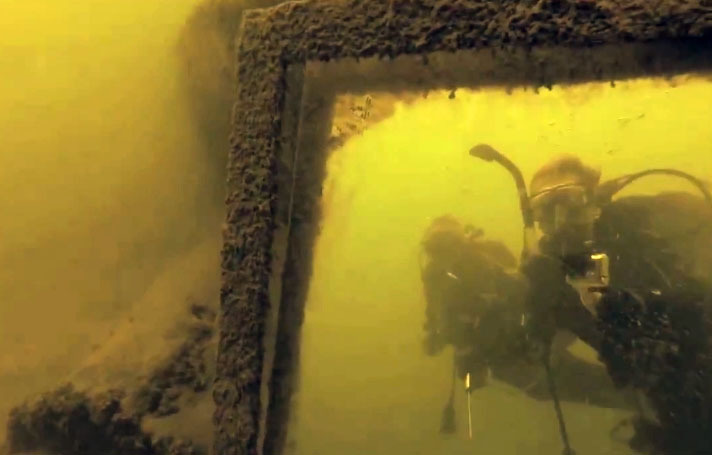 There’s a sailboat wreck that’s a super popular spot for us amateur-divers-in-training. So creepy yet so wickedly cool! I think the fishes are my favorite part of being down there (smile). I always wanted to dive and see what is under the surface, but been too afraid to! Enjoy seeing it through your eyes! Very cool shot with the filtered light and the mirror. Interesting. The lake looks so much bluer on the surface. Great shot. Thank you! Yes it really is amazing how the water changes the further down you go – in terms of both light and temperature. I’m always a little surprised about the capabilities of the GoPro – especially when I don’t have the preview screen attached! You’re just never quite sure what you’ll end up with. 🙂 I’m definitely looking forward to trying out warmer water soon…I think it’s time for a warm beaches kinda vacation! will have to try the GoPro this summer when we get in the water!